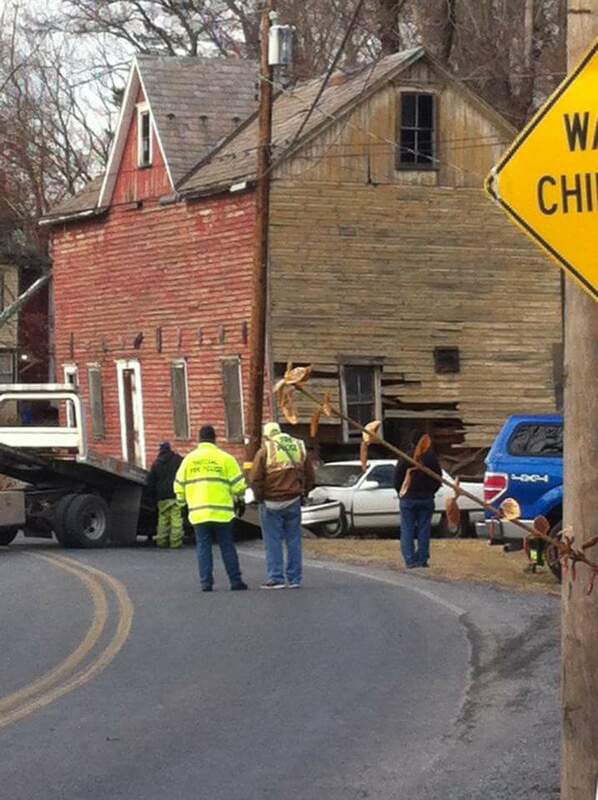 The stability of an old structure is under question after a driver crashed his/her vehicle into it today along Canal Street in Franklin Township. Unknown if there were serious injuries. Photo courtesy of Tiffany Freeby.